Carta Hydrographica y Chorographica de las Islas Filipinas (Spanish, "Hydrographical and Chorographical Chart of the Philippine Islands"), more commonly known as the Murillo Velarde map, is a map of the Philippines made and published in Manila in 1734 by the Spanish Jesuit cartographer Pedro Murillo Velarde, and two Filipinos; engraver Nicolás de la Cruz Bagay and artist Francisco Suarez. 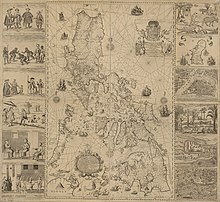 The World Digital Library describes it as the "first and most important scientific map of the Philippines". It is frequently referred to as the "Mother of all Philippine Maps". The map's title includes the following additional description: dedicada al Rey Nuestro Señor por el Mariscal d. Campo D. Fernando Valdes Tamon Cavallo del Orden de Santiago de Govor. Y Capn General de dichas Yslas (Spanish, "dedicated to the King Our Lord by Field Marshal Fernando Tamon Valdes, Knight of the Order of Santiago, Governor and Captain General of said Islands"). The map was created upon the behest of then governor-general Fernando Valdes y Tamon in response to an order from Philip V of Spain. The map shows maritime routes from Manila to Spain and New Spain. The Spanish royal coat of arms occupies a prominent space in the upper-middle portion of the map. On its flanks are twelve images, six to a side. Eight of these images depict various ethnic groups residing in the archipelago. The remaining four are cartographic depictions of cities and islands. 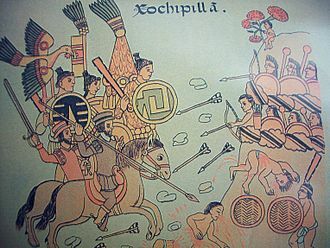 The ethnic groups and individuals depicted include Chinese Filipinos ("Sangley") or Chinese, Kaffirs ("Cafres"), a Camarin (a native of Manila), a Lascar from India, mestizos, a Mardica (natives of Ternate and Tidore), a Japanese ("Japon"), Spaniards, Criollos, Filipino natives ("Indios"), Aetas, an Armenian, a Mughal, a native of the Malabar region and a Visayan. Maps of Samboagan, a city in Mindanao, the port of Cavite, the island of Guajan (Guam) and Manila, and illustrations of endemic plants and animals occupy the remaining sections. The Murillo Velarde map was widely reprinted. These include reproductions in Manila (1744), Vienna (1748) by Kaliwoda, Nuremberg (1760) by Lowitz, and in the first volume of Juan de la Concepcion's Historia General de Philipinas (1788). There are less than 50 extant copies of the map. Some are mounted on a cloth backing measuring 112x120 cm. The map itself measures 108x71 cm and is on a scale approximating 1:1,400,000. The Library of Congress Geography and Map Division in Washington, D.C. has one copy, Call No. G8060 1734 .M8. The National Library of Spain in Madrid has one copy, Call No. MR/45/31. There is one copy in a private collection in the Philippines. In 2014 the Duke of Northumberland, Ralph Percy had a copy of the map auctioned off by Sotheby's. Filipino businessman Mel Velarde won the auction, paying £170,500.00 (approximately ₱12 million) for it. This copy had been printed by the British using the 8 original Murillo Velarde copperplates which had been looted from Manila by William Draper during the British occupation of Manila in 1762. Draper donated the plates to Cambridge University and the university printed copies of the map, one of which later came into the possession of the Duke of Northumberland of the late 18th century. The British however, later melted down the copperplates and reused the metal in printing their Admiralty charts. Velarde donated the map to the National Museum of the Philippines in 2017. Murillo Velarde also published a smaller version of the Carta Hydrographica y Chorographica de las Yslas Filipinas, one that did not include the twelve illustrations on the map's flanks. 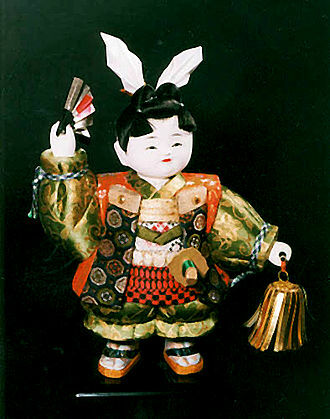 This version measures 51x33 cm. 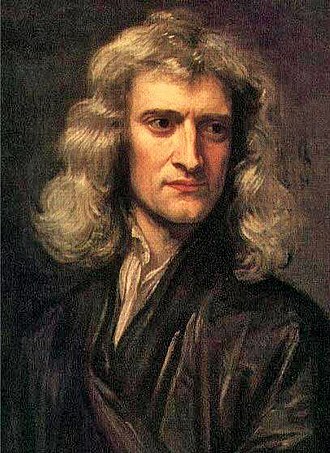 and was published in 1744. There are extant copies in the collections of the Lopez Museum, National Library of the Philippines and the Boston Public Library Norman B. Leventhal Map Center. The Murillo Velarde map has been instrumental in the Philippines' efforts to assert territorial rights in the South China Sea. 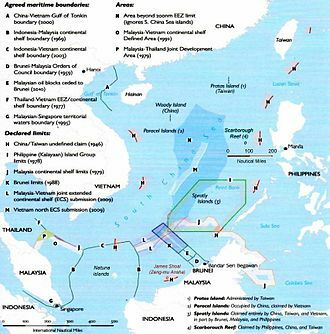 The map, along with 270 other maps, was used by the Philippines' team of experts to refute China's historic claim of ownership of the entire South China Sea, as it features Scarborough Shoal then labelled as "Panacot", as well as "Los Bajos de Paragua" now known as the Spratly Islands. In 2016 the Permanent Court of Arbitration ruled in favor of the Philippines stating that China had "no historical rights" based on their Nine-Dash Line map. China however, rejected the ruling, and Philippine President Rodrigo Duterte has decided not to act upon it. Wikimedia Commons has media related to Carta Hydrographica y Chorographica de las Yslas Filipinas. Wikimedia Commons has media related to Mapa de las yslas Philipinas. ^ a b "Carta hydrographica y chorographica de las Yslas Filipinas : dedicada al Rey Nuestro Señor por el Mariscal d. Campo D. Fernando Valdes Tamon Cavallo del Orden de Santiago de Govor. Y Capn". Library of Congress. Retrieved 4 January 2019. ^ "Chairman Velarde donates replicas of 1734 Murillo-Velarde Map". Asian Institute of Journalism and Communication. Retrieved 4 January 2018. ^ "A Hydrographical and Chorographical Chart of the Philippine Islands". World Digital Library. 8 January 2018. Retrieved 4 January 2019. ^ a b "We Have the Mysterious Map that Proves the West Philippine Sea is Ours". Esquire Philippines. 4 May 2017. Retrieved 4 January 2019. ^ Mariano, Jose Vionel F. (30 August 2017). "Army receives replica of Mother of all Philippine Maps". Philippine Army. Retrieved 4 January 2018. ^ a b "The Mother of Philippine Maps". Lopez Museum. 9 November 2009. Retrieved 4 January 2019. ^ a b Mojarro, Jorge R. (12 June 2015). "The Murillo Velarde map: A relic from 1734 amid the rough seas of 2015". BusinessWorld. Retrieved 4 January 2019. ^ a b c d Ocampo, Ambeth R. (10 June 2015). "Rare, important and significant". The Philippine Daily Inquirer. Retrieved 4 January 2019. ^ "Carta Hydrographica y Chorographica de las Yslas Filipinas Dedicada al Rey Nuestro Señor por el Mariscal d. Campo D. Fernando Valdes Tamon Cavallº del Orden de Santiago de Govor. Y Capn. Hecha pr. el Pe. 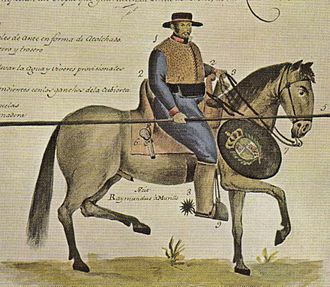 Pedro Murillo Velarde dla. Compª d. Ihs. Cathco. d. De Canones sobre los Mapas y Relaciones mejores que han salido, y observaciones del Author ; delineavit Nicolas de la Cruz Bagay Indio [Tagalo en Manl. Año 1734]". Retrieved 4 January 2019. ^ Tordesillas, Ellen T. (7 June 2015). "PH to submit 300-year-old map to UN in case vs China". Retrieved 4 January 2019. ^ a b "UPD gets replica of 1734 Murillo Velarde map". University of the Philippines Diliman. 18 October 2018. Retrieved 4 January 2019. ^ "Mapa de las yslas Philipinas". Boston Public Library. Retrieved 5 January 2019. ^ Layug, Margaret Claire (11 September 2017). "Murillo Velarde Map refutes 'false history', China's claims – Carpio". GMA News. Retrieved 4 January 2019. ^ Phillips, Tom (12 July 2016). "Beijing rejects tribunal's ruling in South China Sea case". The Guardian. Retrieved 4 January 2019. ^ Salaverria, Leila B. (18 December 2016). 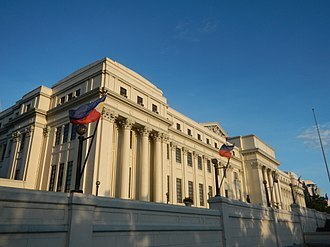 "Duterte to set aside UN tribunal ruling on maritime dispute". Philippine Daily Inquirer. Retrieved 4 January 2019. Chorography is the art of describing or mapping a region or district, and by extension such a description or map. This term derives from the writings of the ancient geographer Pomponius Mela and Ptolemy, its resonances of meaning have varied at different times. Richard Helgerson states that chorography defines itself by opposition to chronicle and it is the genre devoted to place, and chronicle is the genre devoted to time. Darrell Rohl prefers a broad definition of the representation of space or place, in his text of the Geographia, Ptolemy defined geography as the study of the entire world, but chorography as the study of its smaller parts—provinces, cities, or ports. Its goal was an impression of a part, as one makes an image of just an ear or an eye. 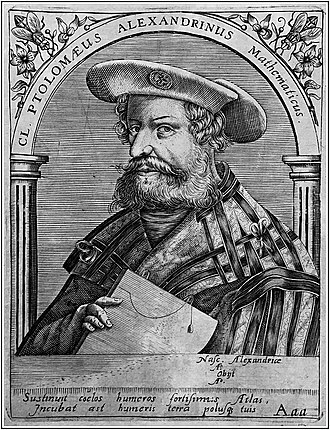 Ptolemys most recent English translators, render the term as regional cartography, ptolemys text was rediscovered in the west at the beginning of the fifteenth century, and the term chorography was revived by humanist scholars. An early instance is a map of Britain in an early fifteenth-century manuscript. John Dee in 1570 regarded the practice as an underling, the term came to be used, for written descriptions of regions. 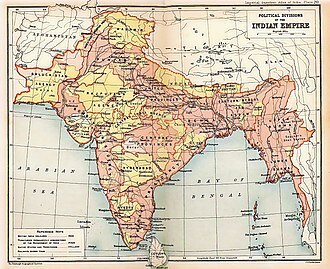 These regions were extensively visited by the writer, who combined local topographical description, summaries of the historical sources, the most influential example was probably William Camdens Britannia, which described itself on its title page as a Chorographica descriptio. William Harrison in 1587 similarly described his own Description of Britaine as an exercise in chorography, a late example was William Greys Chorographia, a survey of the antiquities of the city of Newcastle upon Tyne. Even before Camdens work appeared, Andrew Melville in 1574 had referred to chorography, the term continued to be used for maps and map-making, particularly of sub-national or county areas. By the beginning of the century the term had largely fallen out of use in all these contexts. In practice, the term is rarely found in English by this date. 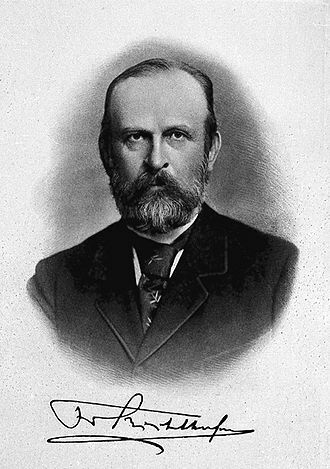 However, its use was revived for a time in the late nineteenth century by the geographer Ferdinand von Richthofen. Before his reign, Philip occupied an exalted place in the royal family of France as a grandson of King Louis XIV. His father, the Grand Dauphin, had the strongest genealogical claim to the throne of Spain when it became vacant in 1700. 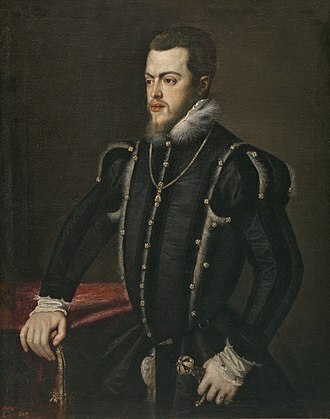 It was well known that the union of France and Spain under one monarch would upset the balance of power in Europe, Philip was the first member of the House of Bourbon to rule as king of Spain. The sum of his two reigns,45 years and 21 days, is the longest in modern Spanish history and he was a younger brother of Louis, Duke of Burgundy, the father of Louis XV of France. At birth, Philip was created Duke of Anjou, a title for younger sons in the French royal family. He would be known by name until he became the king of Spain. 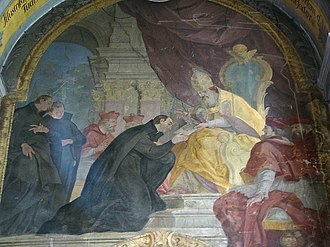 Philip was tutored with his brothers by François Fénelon, Archbishop of Cambrai, the three were educated by Paul de Beauvilliers. 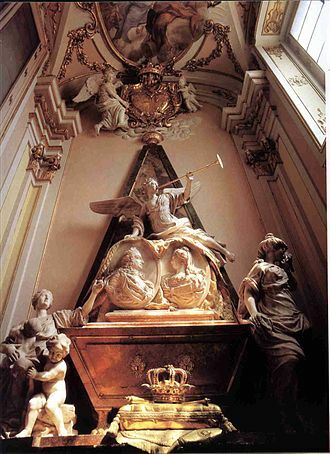 In 1700 the King Charles II of Spain died childless and his will named the turning 17-year-old Philip, grandson of Charles half-sister Maria Theresa, the first wife of Louis XIV, as his successor. 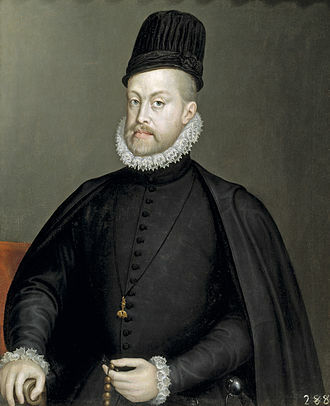 Upon any possible refusal, the crown of Spain would be offered next to Philips younger brother, Philip had the better genealogical claim to the Spanish throne, because his Spanish grandmother and great-grandmother were older than the ancestors of the Archduke Charles of Austria. However, the Austrian branch claimed that Philips grandmother had renounced the Spanish throne for herself and this was countered by the French branchs claim that it was on the basis of a dowry that had never been paid. 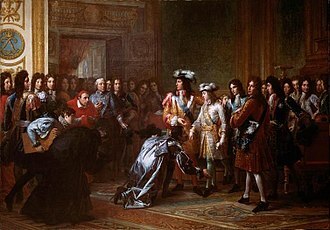 After the Royal Council decided to accept the provisions of the will of Charles II naming Philip king of Spain, the ambassador, along with his son, knelt before Philip and made a long speech in Spanish which Philip did not understand, although Louis XIV did. Philip only learned to speak Spanish, on 2 November 1701 the almost 18 year old Philip married the 13-year-old Maria Luisa of Savoy, as chosen by his grandfather King Louis XIV, by an old man of 63. She was the daughter of Victor Amadeus II, Duke of Savoy, there was a proxy ceremony at Turin, the capital of the Duchy of Savoy, and another one at Versailles on 11 September. Ternate is an island in the Maluku Islands of eastern Indonesia. It was the center of the former Sultanate of Ternate and it is off the west coast of the larger island of Halmahera. The city has a population of just under 200,000 on some 111.39 km2, like its neighbouring island, Ternate is a visually dramatic cone-shape. The two are ancient Islamic sultanates with a history of bitter rivalry. The islands were once the single major producer of cloves. In the precolonial era, Ternate was the dominant political and economic power over most of the Spice Islands of Maluku, Ternate City is the largest town in the province of North Maluku, within which the island constitutes a municipality. 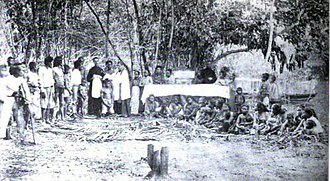 It is, however, no longer the capital, a title now held by the town of Sofifi on Halmahera. The Ternate Essay was an account of evolution by natural selection written on the island by Alfred Russel Wallace in 1858. Darwin at once responded by publishing Wallaces essay alongside his own accounts of the theory, Ternate is dominated by the volcanic Mount Gamalama. An 1840 eruption destroyed most houses, recent eruptions occurred in 1980,1983,1994 and 2011. During the 2011 eruption, Indonesia closed an airport near the volcano for several days following ash emissions that reached 2,000 metres into the atmosphere. The foothills are home to groves of trees, and climbs to the peak of the volcano can be made. The airport lies along the northeast coastline, hiri island is a volcanic cone lying off the northern tip of Ternate. Crocodile-infested crater Tolire Lake lies in the northwest and is bordered by sheer cliffs, Ternate beaches include Sulamadaha and Jouburiki in the west, and the beach at the village of Kastela in the southeast. Ternate is governed as Ternate City within the province of North Maluku, connections are via Makassar, and Manado via Sorong. In addition there are flights to Jakarta on Batavia Air, Sriwijaya Air. Greater Ternate City spreads 10 kilometres from the airport to Bastiong port, the commercial centre stretches 2 km from the bus terminal near Fort Oranye to Ahmad Yani Port where Pelni ships arrive. Chinese Filipinos (Filipino, Tsinoy or Intsik, are Filipinos of Chinese descent, mostly born and raised in the Philippines. Chinese Filipinos are one of the largest overseas Chinese communities in Southeast Asia, There are approximately 1.5 million Filipinos with pure Chinese ancestry, or around 1. 8% of the population. In addition, Sangleys — Filipinos with at least some Chinese ancestry — comprise a minority of the Philippine population. Chinese Filipinos are represented in all levels of Philippine society and are integrated politically and economically, the term Chinese Filipino may or may not be hyphenated. The website of the organization Kaisa para sa Kaunlaran omits the hyphen, the Chicago Manual of Style and the APA, among others, recommend dropping the hyphen. When used as an adjective, Chinese Filipino may take on a form or may remain unchanged. Chinese Filipino, Filipino Chinese, or Philippine Chinese -- refers to Chinese people with Philippine nationality and this includes Filipino Chinese who live and/or are born in the UK and are often referred to us britsinoy. 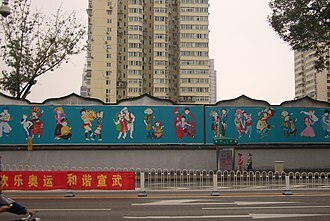 Lan-nang, Lán-lâng, Bân-lâm, Hokkienese -- a Hokkien term referring to Chinese Filipinos whose ancestry is from Fujian province, keńg-tang-lâng, Cantonese -- a Hokkien term referring to Chinese Filipinos whose ancestry is from Guangdong province. Chinese mestizo -- refers to people who are of mixed Chinese, a common phenomenon in the Philippines, those with 75% Chinese ancestry are considered to be Chinese Filipino, rather than Chinese mestizo. Mainland Chinese, Mainlander -- refers to Chinese people with Chinese nationality and were born in China, Taiwanese -- refers to Chinese people with Republic of China nationality and were born in Taiwan. Tornatras or Torna atras -- refers to people who are of varying mixtures of Chinese, indigenous Filipino, or simply Filipino, is used in this article to refer to the Austronesian inhabitants prior to the Spanish Conquest of the islands. During the Spanish Colonial Period, the term Indio was used, the Chinese Filipinos has always been one of the largest ethnic groups in the country with Chinese immigrants comprising the largest group of immigrant settlers in the Philippines. Sothebys /ˈsʌðəbiz/ is a British multinational corporation headquartered in New York City. One of the worlds largest brokers of fine and decorative art, real estate, the company’s services range from corporate art services to private sales. Sothebys is the fourth oldest auction house in continuous operation. As of December 2011, the company had 1,446 employees worldwide and it is the worlds largest art business with global sales in 2011 totalling $5.8 billion. Sothebys was established on 11 March 1744 in London, the American holding company was initially incorporated in August 1983 in Michigan. In June 2006, Sothebys Holdings, Inc. reincorporated in the State of Delaware and was renamed Sothebys, in July 2016, Chinese insurance giant Taikang Life became Sothebys largest shareholder. Three Swedish auction houses are older and Sothebys great rival in London and New York. The current business dates back to 1804, when two of the partners of the business left to set up their own book dealership. After Baker’s death in 1778, his estate was divided between Leigh and John Sotheby, George Leigh died unmarried in 1816, but not before endeavouring to secure his succession by recruiting Samuel E Leigh into the business. Under the Sotheby family, the house extended its activities to auctioning prints, medals. John Wilkinson, Sothebys Senior Accountant, became the company’s new CEO, the business did not seek to auction fine arts in general until much later, their first major success in this field being the sale of a Frans Hals painting for nine thousand guineas as late as 1913. In 1917, Sothebys relocated from 13 Wellington Street to 34-35 New Bond Street and they soon came to rival Christies as leaders of the London auction market, which had become the most important for art. In 1955, Sothebys opened an office at Bowling Green, New York City, in 1964, Sothebys purchased Parke-Bernet, the largest auctioneer of fine art in the United States. In the following year, Sothebys moved to 980 Madison Avenue, Sothebys became a U. K. public company in 1977. The auction house closed its Madison Avenue galleries at East 76th Street, the Los Angeles galleries were sold and auctions of West Coast material moved to New York. The term was used as an ethnic/racial category in the casta system that was in use during the Spanish Empires control of their New World colonies. Mestizos are usually considered to be mixed Spaniards by the crown of Spain, the term mestizaje - taking as its root mestizo or mixed - is the Spanish word for miscegenation, the general process of mixing ancestries. To avoid confusion with the usage of the term mestizo. In colonial Venezuela, pardo was more commonly used instead of mestizo, pardo means being mixed without specifying which mixture, it was used to describe anyone born in the Americas whose ancestry was a mixture of European and Black African. In colonial Brazil most of the population was mestiço in the original Iberian definition of the word. In the Philippines, which was a colony of Spain, the term came to refer to a Filipino with any foreign ancestry especially whites. In Canada, the Métis people is a community composed of those who possess combined European, in Saint Barthélemy, the term mestizo refers to people of mixed European and East Asian ancestry. The Spanish word mestizo is from Latin mixticius, meaning mixed and its usage has been documented as early as 1275, to refer to the offspring of an Egyptian and a Jew. This term was first documented in English in 1582 and it is related to the particular racial identity of historical non-white Amerindian-descended Hispanic and Latino American communities in an American context. In English-speaking Canada, Canadian Métis, as a loanword from French, refers to persons of mixed French, in the United States, Métis Americans and Mestizo Americans are two distinct racial and ethno-racial identities, as reflected in the use of French and Spanish loanwords, respectively. The latter was listed as a mestizo de sangley in birth records of the 19th century, with sangley as a reference to the Hokkiense word for business. 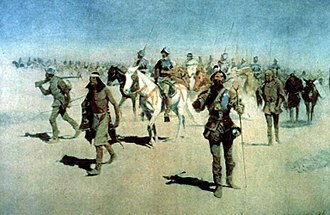 Mestizo, mestiço, métis, mestís, meticcio, mestee, in the Spanish colonial period, the Spanish developed an extremely vast complex system of racial hierarchy, which was used for social control and which determined a persons standing in society. The Philippine peso is the official currency of the Philippines. It is subdivided into 100 céntimos, as a former colony of the United States, the country used English on its currency, with the word peso appearing on notes and coinage until 1967. Since the adoption of Filipino language for banknotes and coins, the term piso is now used, the peso is usually denoted by the symbol ₱. Other ways of writing the Philippine peso sign are PHP, PhP, Php, P$, the ₱ symbol was added to the Unicode standard in version 3.2 and is assigned U+20B1. The symbol can be accessed through some word processors by typing in 20b1 and pressing the Alt and this symbol is unique to the Philippines as the symbol used for the peso in countries like Mexico and other former colonies of Spain in Latin America is $. The Philippine coins and banknotes are minted and printed at the Security Plant Complex of the Bangko Sentral ng Pilipinas in Quezon City, the inconvenience of barter however led to the use of some objects as a medium of exchange. The teston became the de facto unit of trade between Spaniards and Filipinos before the founding of Manila in 1574, the native Tagalog name for the coin was salapi. The monetary situation in the Philippine Islands was chaotic due to the circulation of many types of coins, with differing purity and weights, value equivalents of the different monetary systems were usually difficult to comprehend and hindered trade and commerce. An attempt to remedy the confusion was made in 1848. Overseeing the conversion was Fernándo Norzagaray y Escudero, governor general in the period 1857-60, conversion to the decimal system with the peso fuerte as the unit of account solved the accounting problem, but did little to remedy the confusion of differing circulating coinage. The mint was inaugurated on March 19,1861, despite the mintage of gold and silver coins and South and Central American silver still circulated widely. The Isabelline peso, more known as the peso fuerte, was a unit of account divided into 100 céntimos. Mindanao is the second largest and southernmost major island in the Philippines. It is the name of one of the three groups in the country, consisting of the island of Mindanao and smaller outlying islands. As of the 2010 census, the population itself is 20,281,545 people, while the Mindanao island group has 21,968,174 inhabitants. Davao City is the most populous city in Mindanao hosting 1,632,991 people, followed by Zamboanga City, Cagayan de Oro City, the island has seen a communist insurgency as well as armed Moro separatist movements. Mindanao is considered the food basket of the Philippines, eight of the top 10 agri-commodities exported from the Philippines come from here. Mindanao is dubbed with the monikers The Philippines Land of Promise, although many attempts made, it was never occupied by Spain for their 333 years of stay in Luzon and Visayas. Yet during Spains defeat and Treaty of Paris in 1898, they illegally included by coordinates Mindanao, evidence of human occupation dates back tens of thousands of years. In prehistoric times the Negrito people arrived, sometime around 1500 BC, Austronesian peoples spread throughout the Philippines and far beyond. Native people of the Maluku Islands refer the island as Maluku Besar, the evidence of old stone tools in Zamboanga del Norte may indicate a late Neolithic presence. Ceramic burial jars, both unglazed and glazed, as well as Chinese celadons, have found in caves, together with shell bracelets, beads. Many of the objects are from the Yuan and Ming periods. Evidently, there was a history of trade between the Subanon and the Chinese long before the latter’s contact with Islam. In the Classic epoch of Philippine history, the people of Mindanao were heavily exposed to Hindu and Buddhist influence and beliefs from Indonesia, artifacts found from this era include the Golden kinnara, Golden Tara, and the Ganesh pendant. These cultural traits passed through Mindanao into the Visayas and Luzon, in coastal areas, the Hindu-Buddhist cultural revolution was strongest, whereas in interior parts, influences were indigenized into local animist beliefs and customs and appeared more subtly. The institution operates numerous branch museums throughout the country. The National Museum began as Insular Museum of Ethnology, Natural History and it was subsequently transferred to the Department of Interior as the Bureau of Ethnological Survey after the passage of the Philippine Commission Act No.841 in 1903. This new bureau was responsible for the Philippine participation in the Louisiana Purchase Exposition of 1904, after the exposition, it was abolished as a separate bureau and was renamed the Philippine Museum. The National Museum went through the division and distribution of its functions to other government agencies, the Philippine Legislature passed Act No. The latter was transformed into an independent unit under the Office of the Secretary of Agriculture, the Japanese Occupation brought back the divisions under the National Museum of the Philippines as provided by Philippine Republic Executive Order No. 94, but the museum lost a part of its collection during the Liberation of Manila when the Legislative Building was destroyed by American artillery. Fortunately, the Legislative Building was immediately restored through the American reparation funds bringing the back to its operations. The museum’s role in growth was recognized as contributing to government’s desire for national development. It was revitalized in 1966 when President Ferdinand Marcos signed Republic Act No.4846 or the Cultural Properties, with its new powers, it was able to strengthen its cultural mandate by declaring properties and sites of historical and cultural value to the nation. The educational mandate was strengthened because it was able to inform the public of the researches it conducted, the National Museum of Fine Arts, formerly called the National Art Gallery, is housed in the old Legislative Building. The building was intended as a public library as proposed in Daniel Burnhams 1905 Plan for Manila. Designed by Ralph Harrington Doane, the American consulting architect of the Bureau of Public Works, construction of the building began in 1918 and completed in 1921. 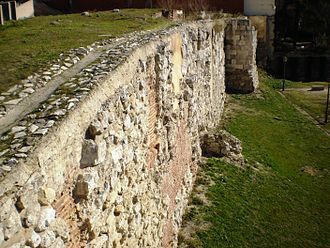 Álvaro de Luna y Jarana (between 1388 and 1390; June 2, 1453), Constable of Castile, Grand Master of the military order of Santiago, and favorite of King John II of Castile. Gate of the palace of Ternate Sultanate. Colonial-era painting of Ternate island, ca. 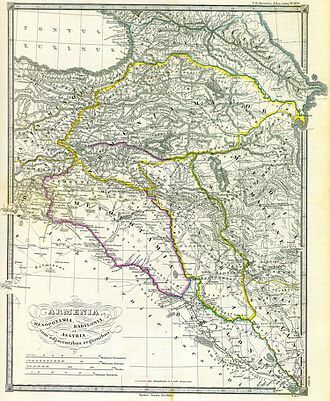 1883-1889. 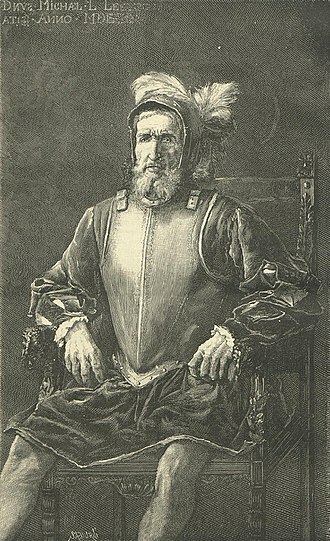 Ferdinand Magellan, Portuguese navigator who was the first European to visit Guam (March 6, 1521) while commanding the fleet that circumnavigated the globe. York Avenue headquarters, New York City. Sotheby's office on New Bond Street, London. Piloncitos, a type of coin used by the pre-colonial peoples of the archipelago. Early issue 1896 10-peso note from El Banco Español Filipino, (1896). United States Administration 50 centavos silver coin minted in San Francisco in 1918. 1944 Philippines five-centavo coin of the Commonwealth period. 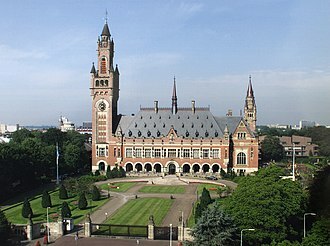 Seat of the PCA: The Peace Palace ("Vredespaleis"), The Hague. Prinsegracht 71, The Hague, a building dating from about 1728, which was the seat of the PCA between 1901 and 1913, when the construction of the Peace Palace was completed. North Atlantic Fisheries Arbitration at the Permanent Court of Arbitration, Prinsegracht 71, The Hague, 1910. Duterte speaks with Davao City residents in 2009. 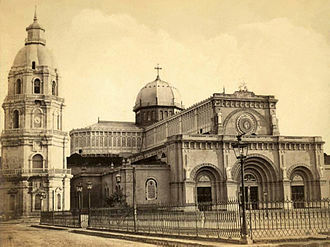 The newly rebuilt Manila Cathedral in 1880 before the earthquake of July 20, 1880, which knocked down the over-a-century old bell tower. Two Spanish missionaries baptizing a Moro convert to Roman Catholicism, circa 1890. South-east facing aerial view of PRC-settled Woody Island. 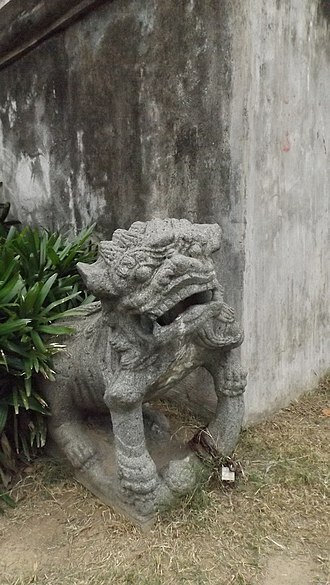 The island is also claimed by Taiwan and Vietnam. 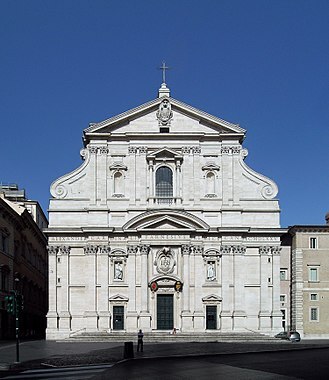 Postern of Our Lady of Solitude through which Anda escaped with most government papers and about half the treasury. The National Library's Filipiniana Reading Room.